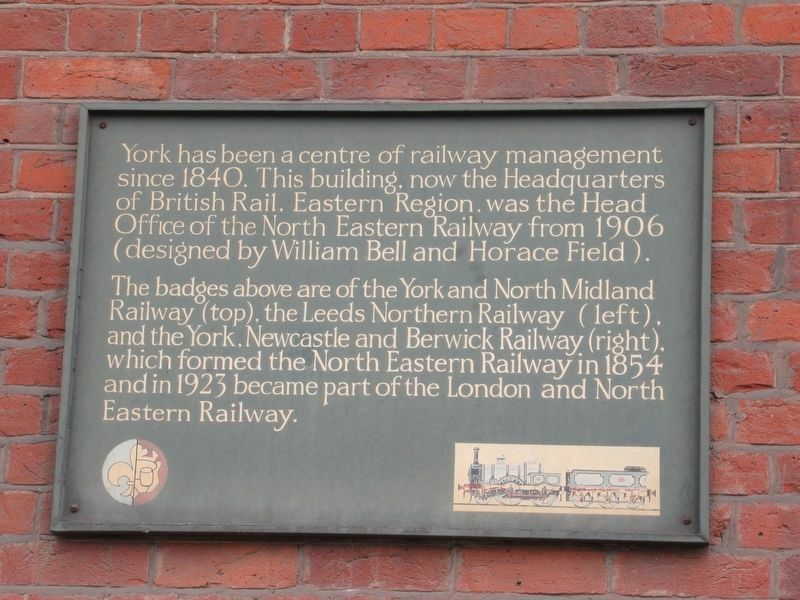 York has been a centre of railway management since 1840. 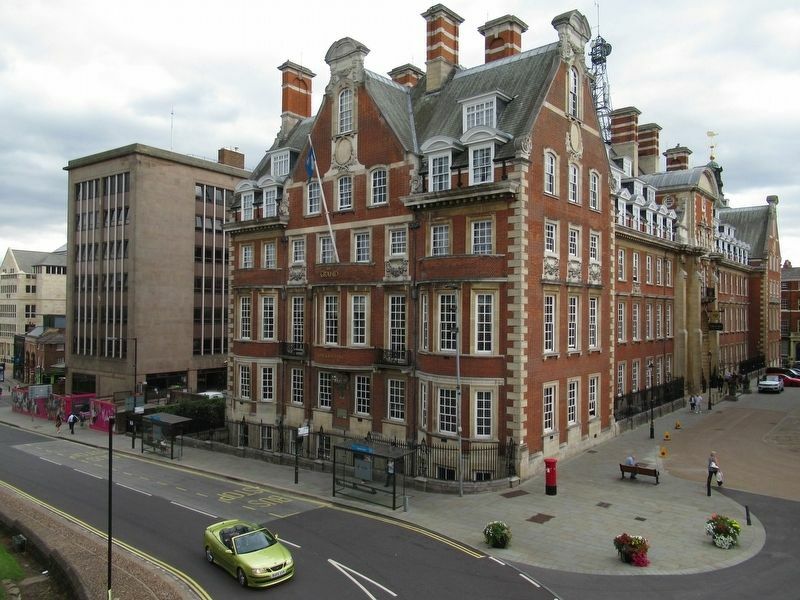 This building, now the Headquarters of British Rail, Eastern Region, was the Head Office of the North Eastern Railway from 1906 (designed by William Bell and Horace Field). 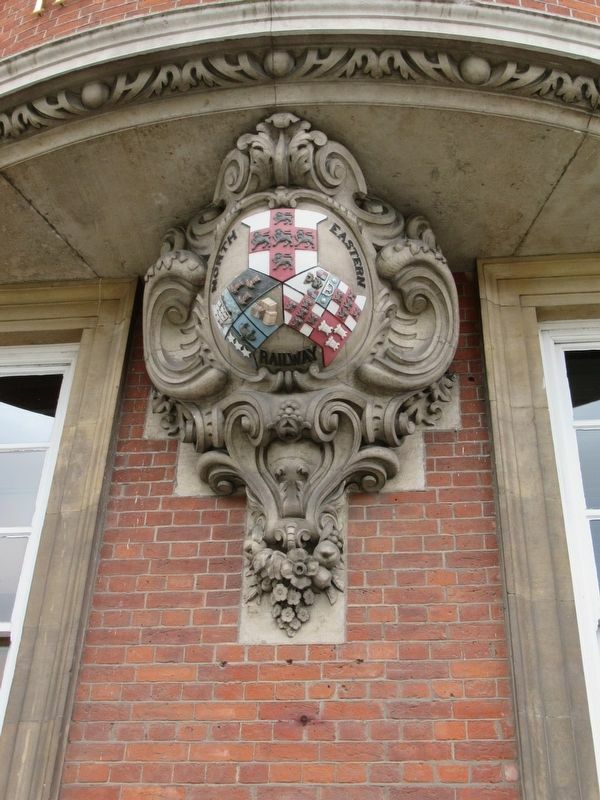 The badges above are of the York and North Midland Railway (top), the Leeds Northern Railway (left), and the York, Newcastle and Berwick Railway (right), which formed the North Eastern Railway in 1854 and in 1923 became part of the London and North Eastern Railway. Location. 53° 57.532′ N, 1° 5.353′ W. Marker is in York, England, in North Yorkshire. Marker is on Station Road just from Station Rise (Route A1036), on the left when traveling south. Touch for map. 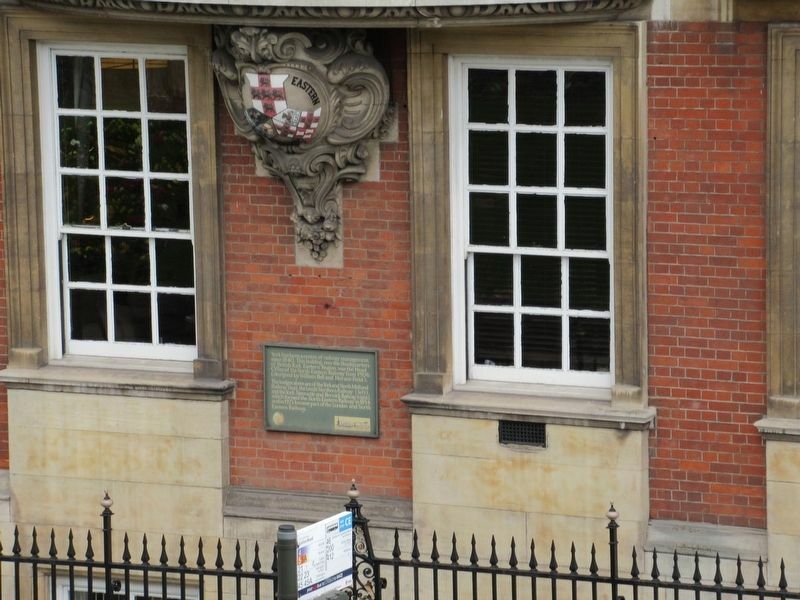 Marker is in this post office area: York, England YO1 6GD, United Kingdom. Touch for directions. (about 120 meters away); This Bridge (about 150 meters away); Lendal Tower (about 210 meters away); John Snow (about 210 meters away); John Snow Memorial (about 210 meters away). Touch for a list and map of all markers in York. More. Search the internet for North Eastern Railway Head Office. Credits. This page was last revised on October 24, 2018. This page originally submitted on October 24, 2018, by Michael Herrick of Southbury, Connecticut. This page has been viewed 35 times since then and 3 times this year. Photos: 1, 2, 3, 4. submitted on October 24, 2018, by Michael Herrick of Southbury, Connecticut.